We would like to open a bright new window to an approach that integrates complementary/ integrative medicine with conventional cancer care in a balanced and responsible way. Cancer is a word that relates to a great deal of emotions and despair. This illness is slowly becoming the leading cause of death in the US. The risk of developing cancer during lifetime is 1:2 in men and 1:3 in women. Current statistics suggest that conventional care achieves a cure in 65% of patients. But this process is not easy, it is accompanied with great deal of uncertainty and the treatments can have a major effect on patients and their families. As a result, a large number of patients are using complementary/integrative medicine as a support to their care. A guiding hand from a professional who understands the conventional view point, as well as the appropriate complementary/integrative medicine perspective, may be helpful in this journey. We strive to provide high quality educational services to patients touched by cancer, their families, friends and others affected by this illness. Our main goal is to improve quality of life and wellbeing, provide hope and reduce hopelessness, and possibly improve survival of patients touched by cancer. Our services do not come to replace conventional care but rather to enhance the benefit of this care. 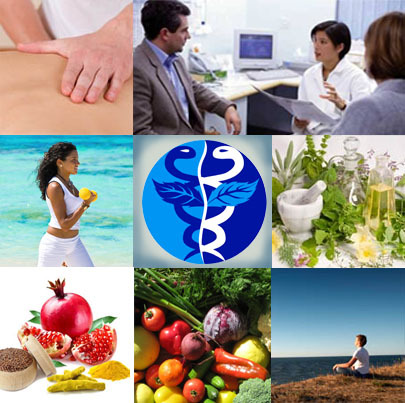 nutrition, supplements, physical activity, and complementary therapies. These approaches can be beneficial to patients and family members, while also addressing very important issues related to mind- body and spirit. The service is directed by Moshe Frenkel MD a world renown expert in integrative oncology, clinical associate professor in University of Texas and founder of the integrative oncology clinic in MD Anderson Cancer Center in Houston, Texas. The information contained in this online site is intended to provide accurate and helpful health information for the general public. The information should not be considered complete and does not cover all diseases, ailments, physical conditions or their treatment. It should not be used in place of a call or visit to a medical, health or other competent professional, who should be consulted before adopting any of the suggestions in this site or drawing inferences from it. The information about therapies contained on this site is general in nature. It does not cover all possible uses, actions, precautions, side effects, or interactions of the therapies mentioned, nor are the information intended as medical advice for individual problems or for making an evaluation as to the risks and benefits of a particular therapy or intervention. The site managers, specifically disclaim all responsibility for any liability, loss or risk, personal or otherwise, which is incurred as a consequence, directly or indirectly, of the use and application of any of the material on this site.